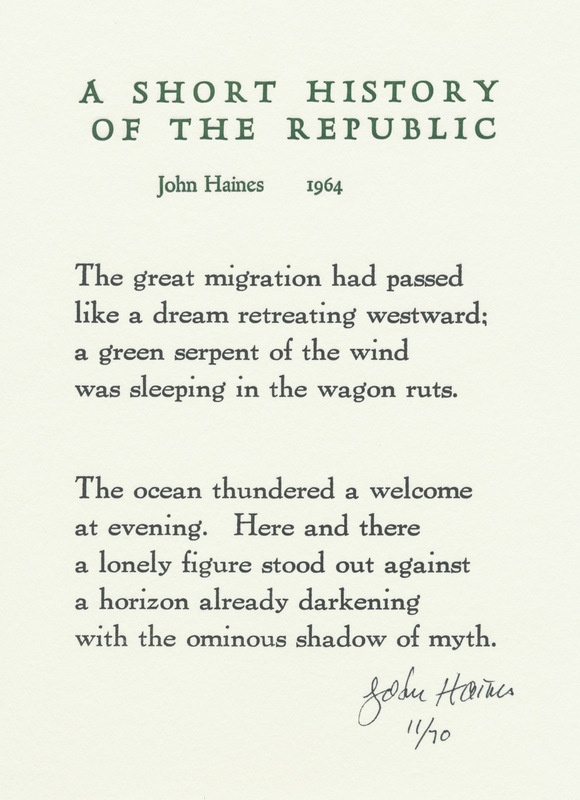 John Haines (1924 to 2011) served as poet laureate of Alaska. 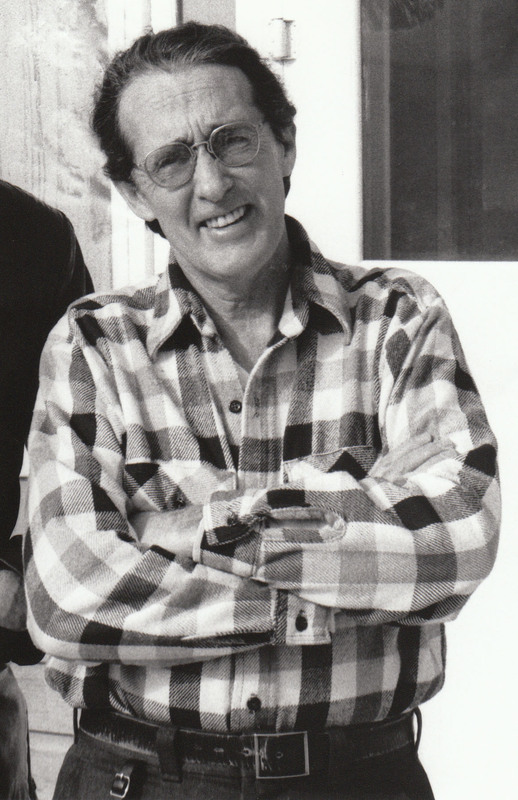 He began writing poetry after he homesteaded near Fairbanks in the 1940’s. He initially supported himself through hunting and trapping and then later by teaching. He published numerous collections of poems such as “Winter News” (1962), “News From the Glacier” (1982) and also books of essays such as “Of Traps and Snares”. I took this photograph of John Haines in 1983 at the front door of his homestead. He gave me a zucchini from his garden. I have printed two poetry broadsides for him which he signed and numbered. Although he had numerous books published he was very pleased to have letterpress printed poetry broadsides. He passed away in 2011 at the age of 86. “A Short History of the Republic” was hand set in 24 point Pabst Roman type with the title in 24 point Hadriano caps. This 7 by 10 inch broadside is available for purchase for $15 postpaid by Paypal at stuartbradley@comcast.net or by sending a check payable to Railway Station Press at P O Box 2327, Alexandria, VA 22301.